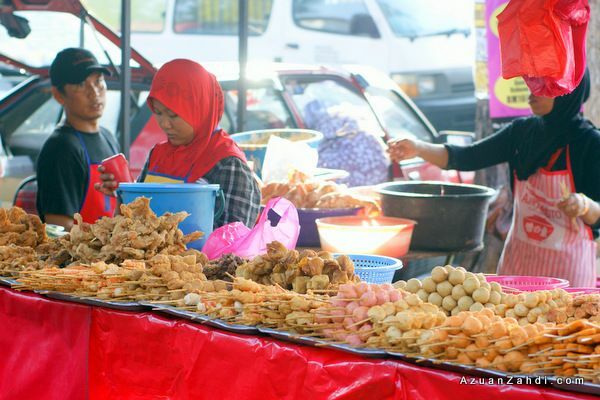 As part of my #selangorlicious campaign, I plan to cover a few Pasar Ramadan and Suhoor/Sahur places in Selangor throughout this fasting month. 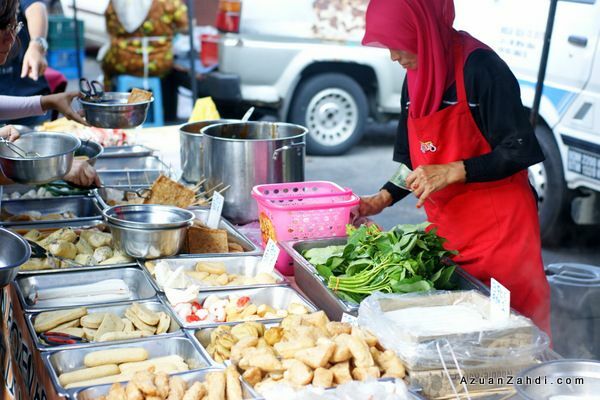 I had visited one in Shah Alam on Day 1 of Ramadan (click here to read) and was looking for another Pasar Ramadan to visit over the last weekend. 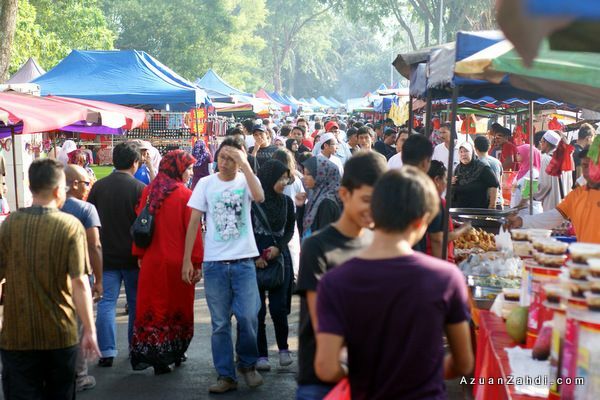 After sharing my plan on twitter, Dian and Adam responded and we toyed around with the idea of an informal and impromptu meetup at a Ramadan bazaar. It took us only a few tweets and WhatsApp messages to turn the idea into a reality. 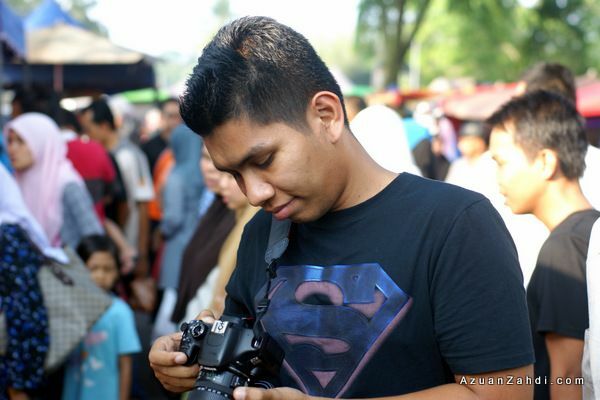 Three food-hunters / bloggers/empty stomachs with one common mission, to visit a random Ramadan Bazaar in Selangor and find something different and delicious at the same time capturing the unique once-a-year environment of a Pasar Ramadan on our cameras. Pasar Ramadan Seksyen 16 Bandar Baru Bangi, our impromptu buka puasa destination for the day. 5:10 pm – I was fashionably late by 10 minutes (I blame it on my GPS) . 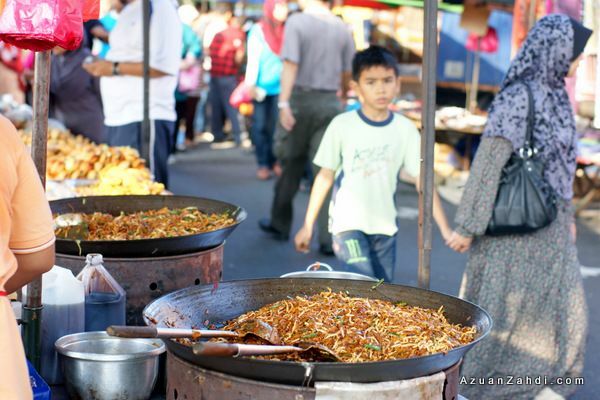 Dian and Adam have arrived on-time and we were all set to explore the biggest Ramadan Bazaar in Bandar Baru Bangi. 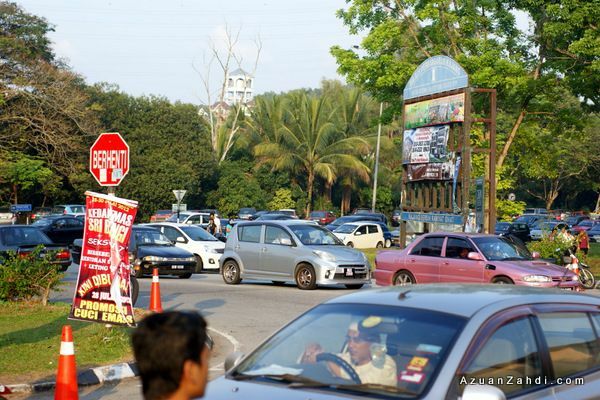 Finding a parking spot was a challenge despite having RELA officers controlling the traffic flow. 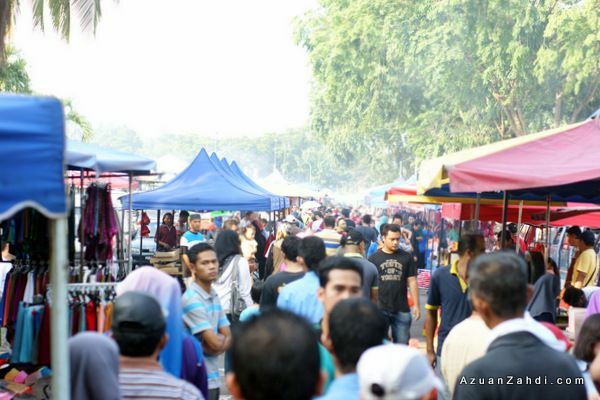 We were there on a Saturday so the Pasar Ramadan is a 2-in-1 combination with the regular Pasar Malam Seksyen 16 (Tuesday and Saturday) so we had double the stalls, double the excitement. Ok maybe not double, but definitely more! The first row, rule of thumb is anything on the left side is stuff you cannot eat while on the right side is all food and drinks! 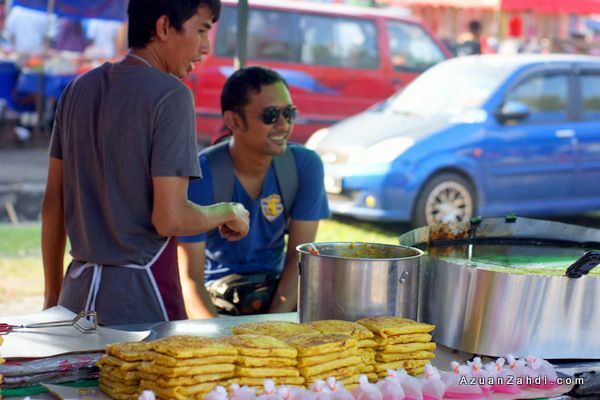 ….and at least 5 stalls selling Murtabak, another famous dish during Ramadan. 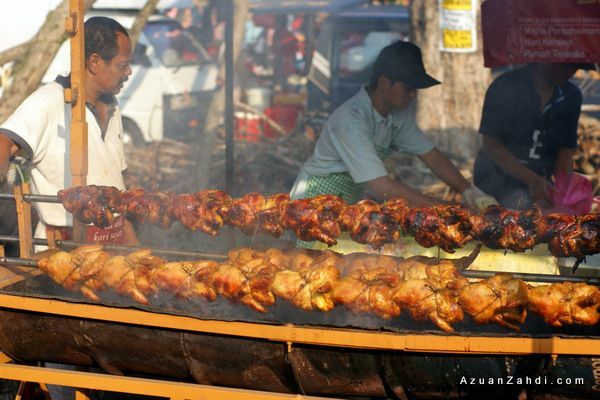 Ayam Golek is becoming a “must have” menu at any Pasar Ramadan. 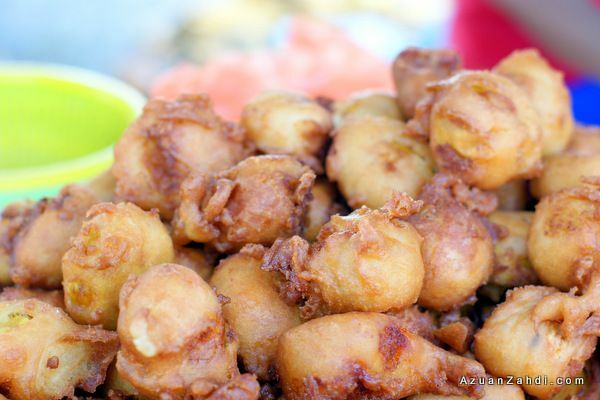 I used to love eating these “cucuck-cucuk” goreng when I was in high school! Looking for a healthier option? 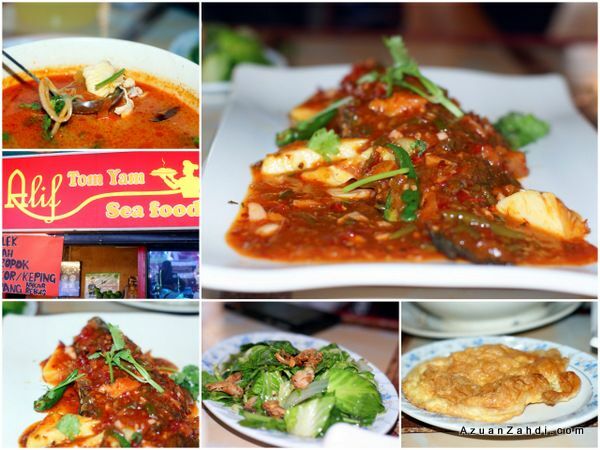 Try the Yong Tau Foo…. 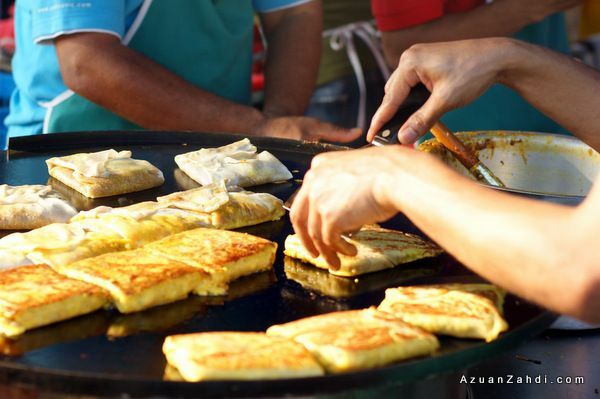 …or this delicious looking Pecal. 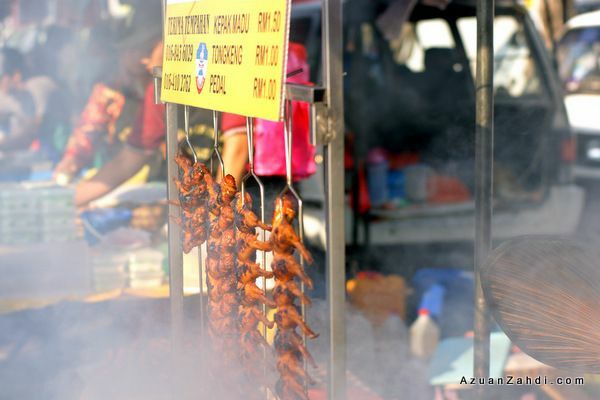 The “stall with the most smoke” award goes to this little one selling Sabah style of Chicken Wings. No breakfast for one month but that doesn’t mean you can’t have Nasi Lemak for one month. 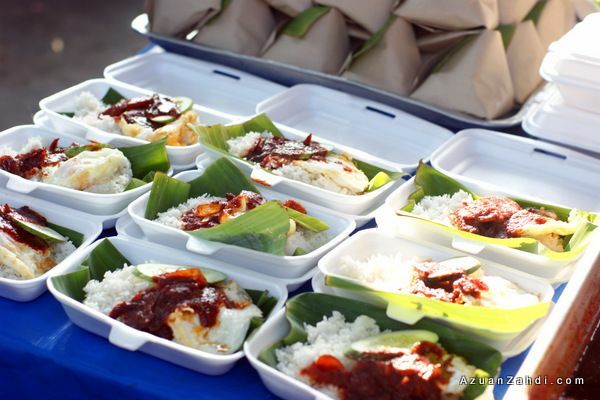 These Nasi Lemak looks good. 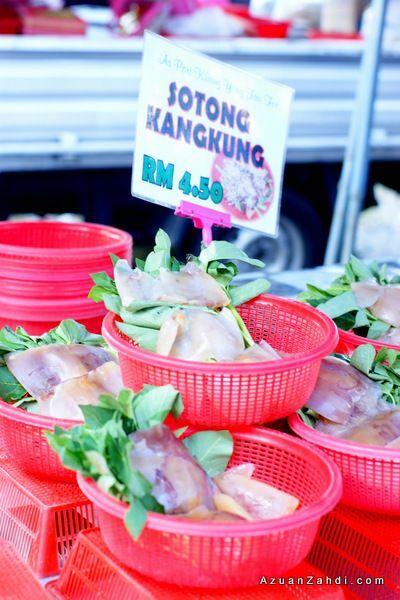 Burung Puyuh goreng berempah. 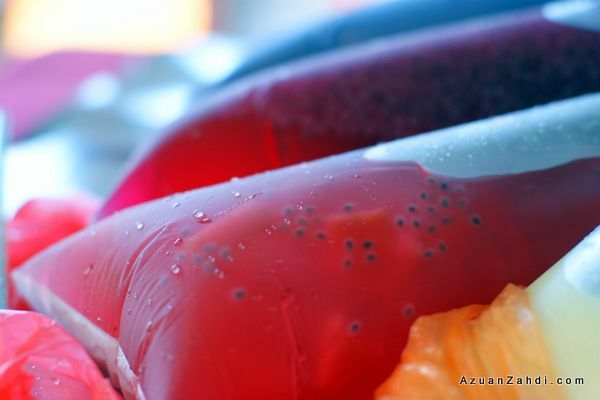 A good combination with the Nasi Lemak. 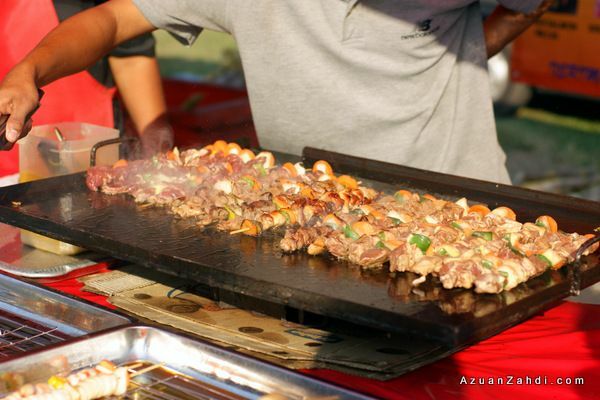 Kebab Arab, similar to the one I saw in Pasar Ramadan Stadium Shah Alam. 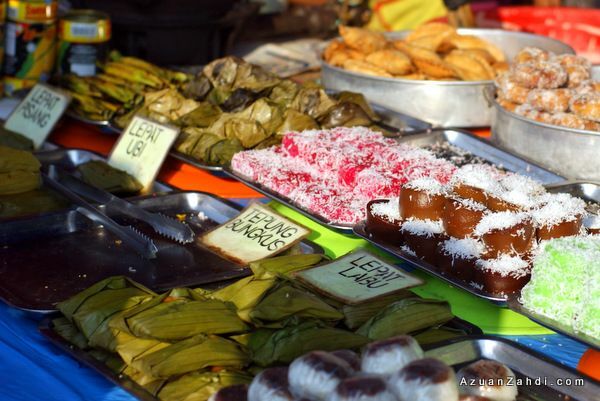 In the Kuih-muih and dessert department, these are some of the interesting ones. 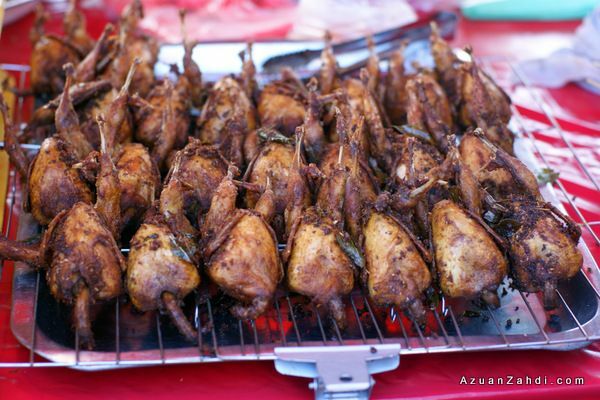 Peneram, not as crispy as the one I had in Shah Alam but tasted quite good. 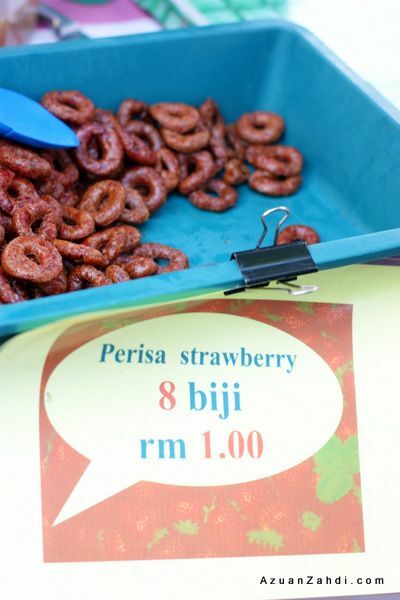 I don’t usually go for ‘modified version’ but the Peneram Strawberry is quite interesting. I found my appetizer/light meal. Kebab Parit Raja seems delicious so I opted for its kebab pita daging. 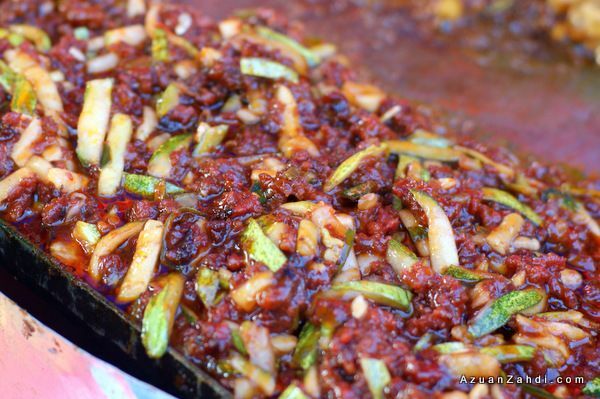 After three rounds of checking out the stalls, I finally found something unique that I wanted to try. 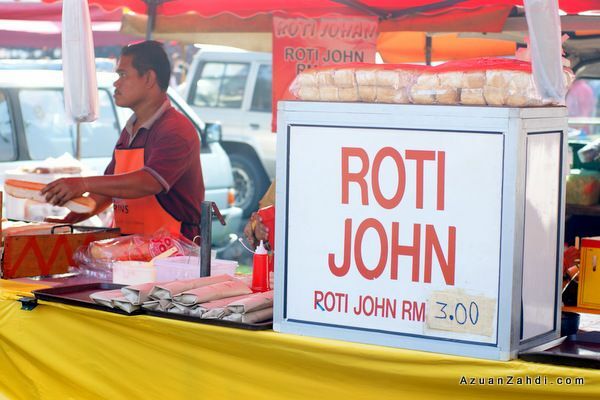 I took the RM2.50 risk and bought it for buka puasa. 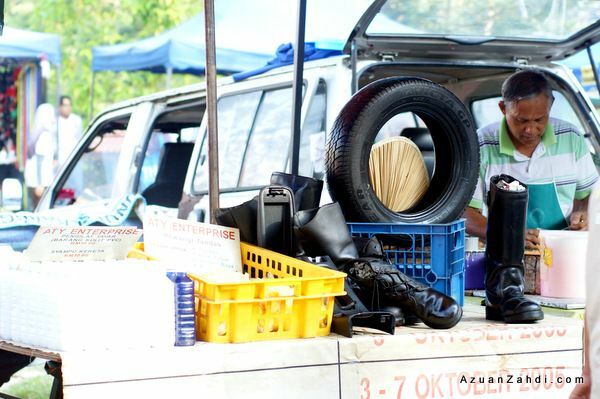 Adam and Dian made the safer choice of sticking to Sirap Selasih. 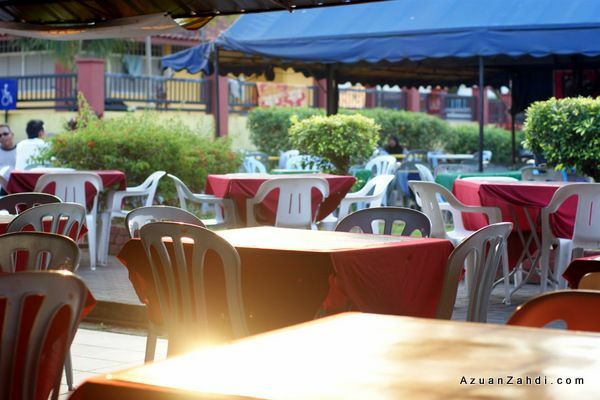 Satisfied with what we have, we went around looking for a bench/table for us to buka puasa. Dian saw a food court nearby and with no hesitation we decided to hop into one of the tomyam stalls. We ordered a few dishes and rice for our main meal to be eaten with all the stuff we bought earlier at the Pasar Ramadan. The Kebab Parit Raja turned out to be good. I love how they use thousand island and mayonnaise to complement the meat. 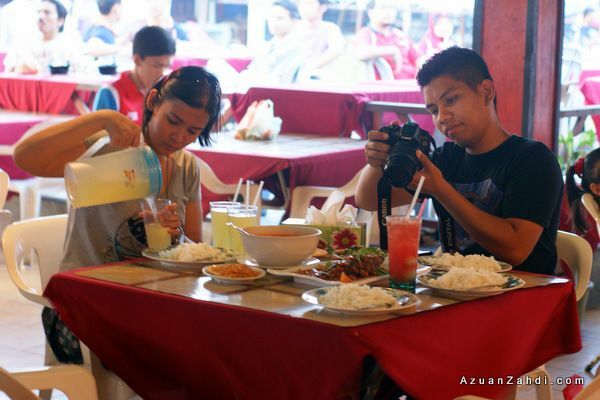 As for the Durian juice or Air Durian, it is quite a ‘different’ taste. 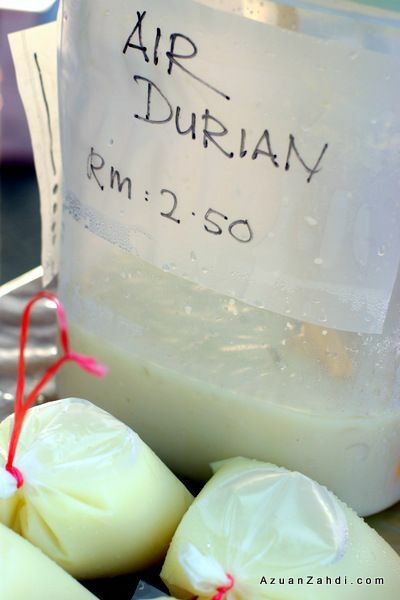 Imagine kuah durian or pengat durian but a much lighter version of it. At one time it tastes a bit like drinking plain water using the kulit durian as a cup. You can feel the durian but it’s too light. I would try it one time just to get the experience but that’s about it. Wow.. a delicious post at this hour. I forgot I read this post this morning right after I woke up. The putu mayam was alright. 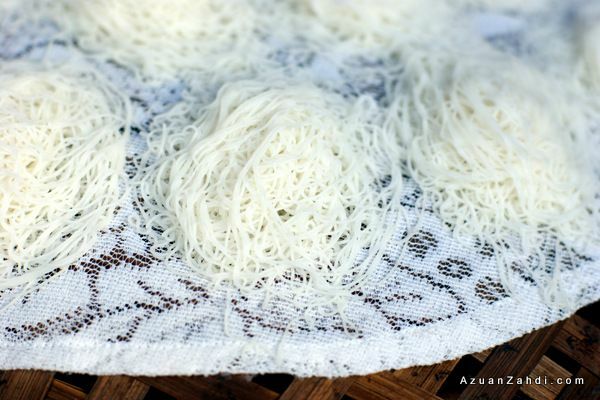 Albeit 2/3 smaller than the original Putu Mayam. But I guess given the economy we are in..everything resized. 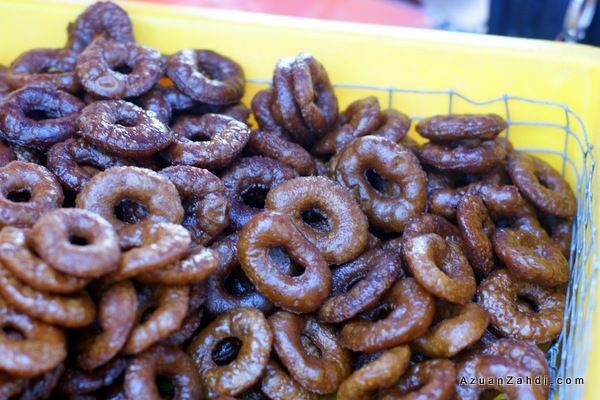 The only thing is, it’s thicker when it’s smaller..so kena letak lebih gula je. 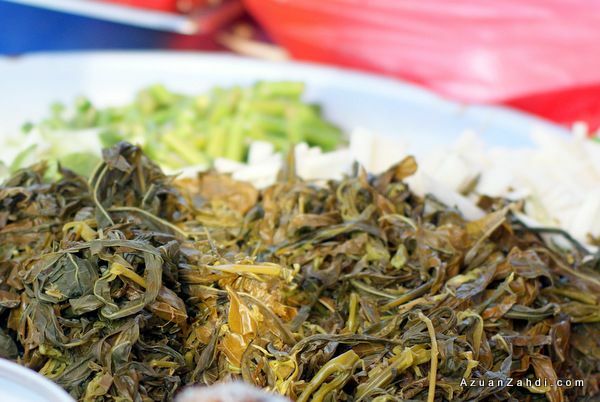 You should try Putu Bamboo. Equally good. 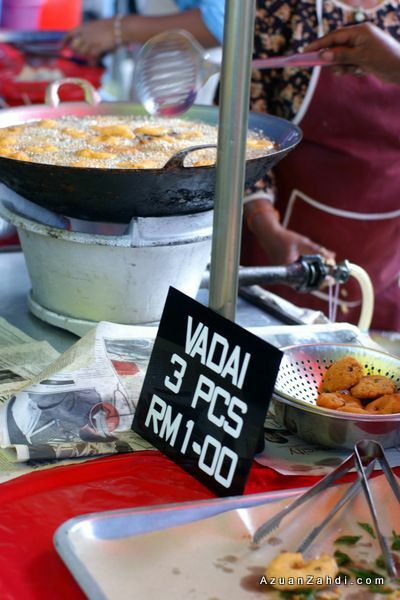 Available in some Pasar Malam.